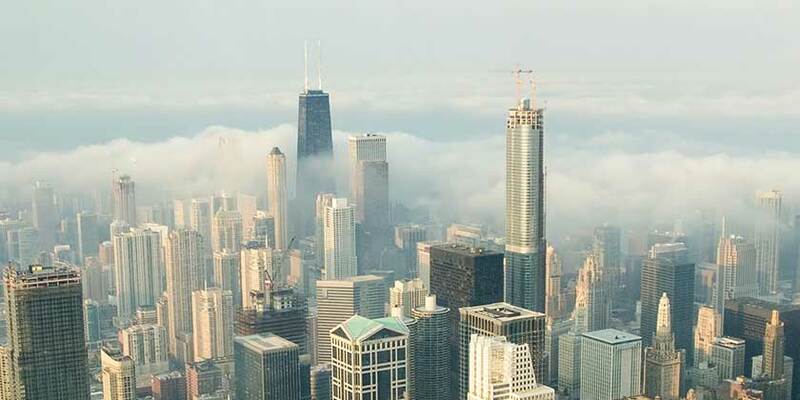 Chicago, Illinois, is the third-largest city in the U.S., with a variety of attractions. This cultural, financial, and sports super-power is celebrated the world over. Learn about Chicago’s place in history, science, and culture by touring its many sites, museums, and landmarks, such as the famed Willis Tower, The Field Museum, Shedd Aquarium, and Navy Pier. Chicago’s arts and entertainment are well known, especially the city’s theater and blues music. Check out the Magnificent Mile for fantastic shopping. Discover ethnic eateries, deep-dish pizza, Chicago-style hot dogs, and so much more in Chicago. With the Go Chicago™ Card, get access to more than 25 top Chicago attractions, tours and activities all at one low price. Enjoy a scenic tour of Chicago's lakefront and downtown areas aboard a trolley or upper-decker bus. Gaze upon the city sights from the pinnacle of Chicago, the Skydeck. Located on the 103rd floor of Willis Tower, formerly Sears Tower. Chicago CityPASS is the best deal in the Windy City, giving you discounted admission to five of the city's premier attractions. See all the sights of Chicago at your own pace! On a Hop-on Hop-off Tour you can get off the bus to visit Chicago's most popular attractions. Experience one of the world's most beautiful cities on a 1-hour architecture cruise on the historic Chicago River. Resort info: Where old world elegance blends with the modern amenities of today, this inspired hotel offers an upscale oasis. Resort info: Located just three blocks west of Navy Pier and two blocks east of the world-renown shopping, dining and entertainment lining Michigan Avenue. Resort info: Rising above the Chicago River, this hotel lays adjacent to the Chicago Loop business district and the Magnificent Mile shopping and dining areas. Resort info: Located on Chicago's famed Magnificent Mile, is steps from Lake Michigan, Michigan Avenue restaurants and premier Michigan Avenue shopping. Resort info: Located on Chicago’s Magnificent Mile, the hotel provides upscale restaurants, specialty shops, fitness center and unique guestrooms. Resort info: Experience Chicago from an entirely different view during visits to this picturesque Chicago escape.